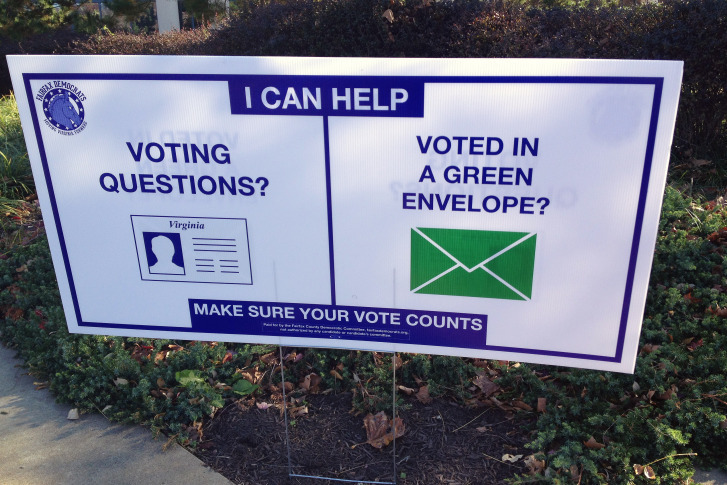 A last-minute change means Fairfax County voters who cast provisional ballots may face troubles getting them counted. WASHINGTON – A last-minute change means Fairfax County voters who cast provisional ballots may face troubles getting them counted. Nearly 500 voters cast provisional ballots in the county, many more across Virginia, in Tuesday’s election. But the promise from Democratic and Republican parties to make sure their ballots got counted is now no good. The state Electoral Board decided Friday to change the rules that had been followed in Fairfax County and ban legal representatives from stepping in to help get the ballot counted, unless the voter him or herself is there. County Electoral Board Secretary Brian Shoeneman says he and board chairman Seth Stark disagree with the ruling, but they have to comply. The board is voting on some provisional ballots later Saturday. “The office of the Attorney General advised us that this was the correct reading of the statute,” State Board of Elections Secretary Don Palmer says. He says the State Board of Elections has always interpreted the policy this way and issued the reminder guidance Friday after learning about Fairfax County’s plans to allow advocates to represent voters without the voter present. Election officials in Fairfax County say they have allowed the representation for years and only stopped it because of the memo sent out Friday. The local board of elections will still consider any written evidence that voters submitted. Read the memo from the State Board of Elections below. In order to “obtain uniformity in their practices and proceedings and legality and purity in all elections,” the State Board of Elections issues the following instructions to the electoral boards and general registrars regarding individuals permitted in the provisional ballot meeting, particularly whether the legal counsel or the voter’s representative can be present to advocate for the voter without the voter present in the meeting. We are issuing this instruction in order to ensure uniformity in determining whether to count provisional ballots throughout the Commonwealth. Specifically, it would not be uniform if one locality took evidence from a representative without the voter present and another insisted on the voter being present. 1. A voter attending the provisional ballot meeting is permitted to have legal counsel or a representative present when the Electoral Board meets to determine the validity of his/her provisional ballot. However, the provisional voter must also be present if a person claims to be there to represent the voter as his/her legal counsel or a representative. There shall be no legal counsel or representative present in the meeting without the voter being present. 2. The representative referenced above is a different individual than the “authorized representatives” is permitted to be there to represent each party during the meeting (1 per party) so long as they have the required letter. That authorized representative is there to observe only and is not permitted to participate in the proceedings. That individual must not impede the orderly conduct of the meeting.